Ursuline Convent Building, Thurles, Co. Tipperary. 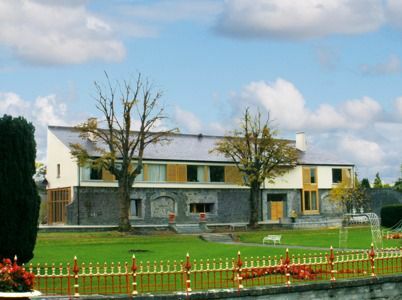 This project involved the construction of a new convent building providing accommodation for the Sisters of the Ursuline Convent in Thurles, Co. Tipperary. 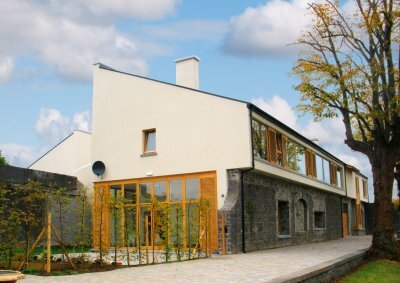 This new building provides bedrooms, recreational areas, prayer rooms, offices and meeting rooms and extends over an area of 15,000 sq ft. Externally, the works include an enclosed cloistered courtyard and an oratory which is a split circle on plan and which takes its roof profile from aparabolic curve. Landscaped gardens, visitor parking areas, underfloor heating and new utilities buildings are other features of the development. The building is designed to be sympathetic with its surroundings and it compliments the adjacent walled garden dating from the 18th century.